Are you ready to unlock your organization's potential for growth? Hardy is the author of the ground-breaking survey and report, “Why Don’t Board Members Do What They’re Supposed To Do?,” and a comprehensive blog addressing nonprofit leadership and successful communication techniques. Hardy takes a straightforward and realistic approach to improving relationships and building business. He shares his knowledge and expertise through professional speaking engagements, workshops, strategic planning sessions and consultation services. Ready to improve your nonprofit leadership? Connect with me and sign-up to get my free newsletter. You'll get a sign-up bonus, my report: Why Don't Board Members Do What They're Supposed to Do?! This is one of the most compelling questions facing nonprofit leaders and I’ve done the research to find the answers. This presentation focuses on actions to avoid board member relationship mistakes, keys to recruiting and retaining productive board members, and why board members aren’t passionate about fundraising. Watch for my book on this topic to be published in 2018. 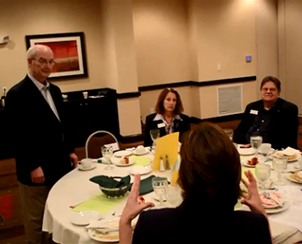 Hardy Smith's presentation, "Why Don't Board Members Do What They're Supposed to Do" was very engaging. He is a very effective communicator and great story teller who really knows the needs of nonprofit boards! "It was a pleasure to work with Hardy Smith. After being recommended by one of our board members who had also had the opportunity to work with him, I secured Hardy to speak at our Spring Conference. The session that he presented was relevant, thought-provoking and well-received." 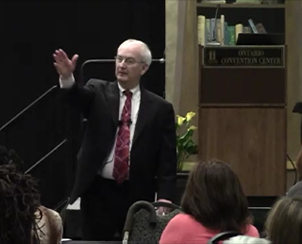 "Hardy spoke at the our convention on two topics; he was one of our highest rated speakers by the attendees for both sessions. We rarely repeat speakers for consecutive years, but based on member feedback, we asked him to return with a new topic. He is organized, prepared...I highly recommend him to any event organizer." I am a leader of our local campus for the University of Central Florida, (and) involved in strategic planning. I am going to (return to campus) and implement the comments Hardy made today. I have a strategic plan and my colleagues and I are going to update it to include involvement and engagement. I learned lots of things I can take back and use. Hardy (has a) capacity to take in what’s going on with an organization and not only help it grow, but also develop it in a healthy, knowledgeable way so you can evaluate results and (get your) leadership team where they are functioning on all cylinders. Hardy has been an incredible asset and resource, to me and to my organization's members. Hardy has been an excellent resource for our members both as a speaker and as a writer for our magazine. His presentation dealing with Boards has been well received. He has a wonderful style of humor and anecdotes that drive his message home. I highly recommend Hardy Smith as a presenter for your organization, you will love him! Having been in business a long time, I know what strategic planning is, but Hardy’s ability to take it and put it into four to five key elements and then talk about how it can be done without tons of paper work (and hours) I found to be very efficient. He makes (strategic planning) doable. Hardy Smith was a wonderful facilitator of our strategic plan session. He was able to draw everyone into a critical conversation while maintaining focus; I attribute this to his exceptional communication skills and in-depth understanding of nonprofits.